Mirage Island is a quest where most of the content is randomized. As a result, you will get a different experience each run. You also have a variety of options for how the quest is randomized, including length for those who like longer or shorter quests. 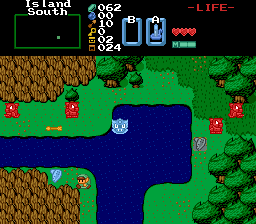 Mirage Island is a little different from other Zelda games. There is no Triforce, no Ganon, no Zelda. Instead, you have an Island. But it's a bit more complicated than that. 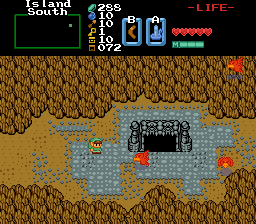 The locations on the Island, the items you can find, and the Shrines (which are the dungeons) are randomized. In fact, you won't actually see everything in a single run (though with some options you can get close). 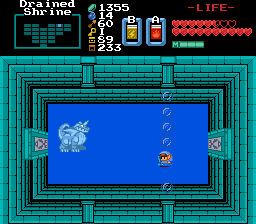 Part of the challenge is not knowing what you'll encounter each run, and which key items will be needed to complete the different Shrines. The Shrines are a big factor in the experience. There are 4 Tiers of Shrines. Higher Tiers have stronger enemies and require more key items to complete. There is also the Elder Shrine, guarded by the Elder. To be allowed into the Elder Shrine, you must complete a random request from the Elder. As a result, you (usually) don't need to complete all the main Shrines to enter the Elder Shrine and complete the quest. The more you explore, the better geared you can be for the later Shrines. However, there are a bunch of options presented at the start of the quest, which can further change the experience of each run. 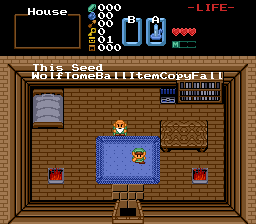 Like other quests with a Randomizer, you can always use a seed to produce the same results. Link and Storms do not get along. After having his Raft stuck by lightning, he finds himself on Mirage Island, a place know to exist, yet none have actually seen... or at least, have actually returned from. The Island is quite large and does have some locals. It seems like it is impossible to leave the Island, but there are several mysterious Shrines hidden all across the Island. The Islanders answer to the Elder, who watches over the Elder Shrine, the most complex and difficult Shrine on the Island. Could answers await inside? But Link has lost all his gear when he shipwrecked. And the Elder does not let anyone into the Elder Shrine who are not worthy. Now is the time to explore this strange Island, find helpful gear to combat the dangers, and solve the mysteries of the Shrines. This quest makes use of all the Ex buttons. You may want to set them up in the controls. L, R, Ex1, and Ex2 are used for weapon cycling. Ex3 is very useful. It pulls up a custom map of the Island to see what caves you've visited. The Island is made up of a 16 x 16 grid, split into North and South. You can move the map cursor and scroll between the two halves. 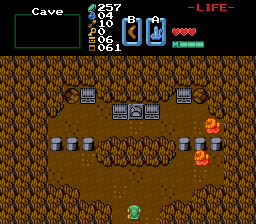 You can also use A and B to change the color of the selected cave to MARK places for whatever reason you like. Ex4 displays a counter of the number of item locations of the current area, and the number checked. This does include chests that contain keys, maps, and Heart Containers from bosses. Bosses will drop a Heart Container, unless certain options make them drop Heart Pieces instead. If you want more Hearts, defeat more bosses. 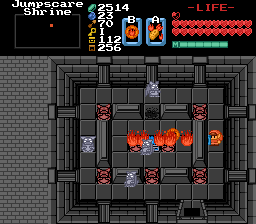 Some passive items will almost always appear after the boss of a Shrine. If you want to find more of these upgrades, complete more Shrines. Each shop type can appear up to 3 times. Purchasing a major item from a shop will make it disappear from any extra copies of it. You can also find caves that let you get some shop items for free, if you have not bought them yet. Save rupees by looking for the freebies first. There are also a pair of Chest Mini-games. Unlike the money making games, you pay to open each chest and keep what's inside. These chests will contain major items, so save up to open all of them. 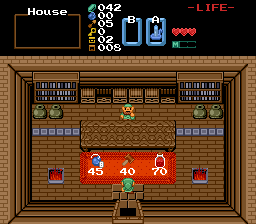 You don't need the rupees to open all of them at once though. Key items are grouped by Tier. Later Tiers require some key items from the previous Tier and potentially ALL key items from even earlier ones. It is worth exploring earlier Tiers for key items before later ones. You always start in a house. There are 16 houses on the Island. Many of these contain shops that can contain early key items. Two of the Tier I Shrines will appear in dungeon structures on the Island. This can help find the early Shrines easier. Later Shrines are more hidden. You won't find them by checking open caves. 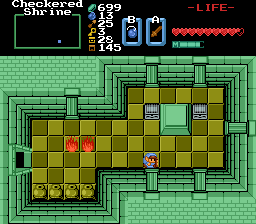 Although keys can work on any lock like in Zelda 1, the number of keys/locks per Shrine is a 1 to 1 ratio. Sometimes buying an extra key will save time, even if you are going for 100% item locations. One option for length is called Grand Tour. This makes ALL Shrines AND Elder Shrines to appear. This tends to create a very long run; it might be worth playing a few shorter runs first to get a feel for how things work. If you get stuck, the hints from the Islanders can help. Using the Ex3 Map to mark locations to return to is VERY helpful. Pick a color you like for this and stick with it. There are actually multiple endings. I suspect one of them will be very nice for a low% run. Some items will vary from run to run. Some can be used in place of key items from sequence breaks. Doing another run? The Ex Buttons set the options to a bunch of defaults. These defaults reflect a couple of scenarios: Lots of Items, Minimal Items, Closer to Z1, and All Item Locations Filled. If you want to be surprised, the MAP button randomly sets the options... but you don't know what it sets them to. You can choose the number of "Extra Weapons" that appear in a run. These are the last few rows of items in the inventory, and all are optional. There are a lot of different weapons you can find, and you can also control what styles of weapons appear. If you have more than 5 extra weapons, the first row of 5 is the one affected by the style option. DragonDePlatino for the original Koten tileset. VGMusic for all the midis. All my Beta Testers for input and bug locating. 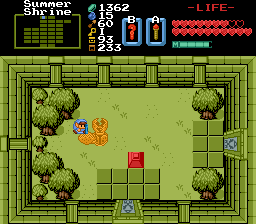 Can you or someone who has played this let me in on what I'm supposed to do with the movable blocks puzzles in the 2 rooms on the left part of the Deadwood Shrine level? Nothing is clear what I'm supposed to do. Please and thanks. I've tried turning all the pressure plates yellow, I've tried moving the blocks so all the sand is "disturbed", I've tried different combinations of having the blocks on the pressure plates and nothing is working. it would be helpful to have a description of what each thing does. 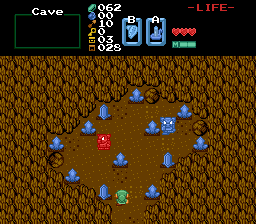 For example there are some caves that have an alter thingy in the middle and I tried every item in inventory and nothing happens, I don't know maybe they are just for show or something. Also there are silver compas thingys that merchants sell, I have no clue what those do. Why does this quest lag so horribly? I use v2.5, stable version. Wait, the full quests finally here? aaawww frick yeah!